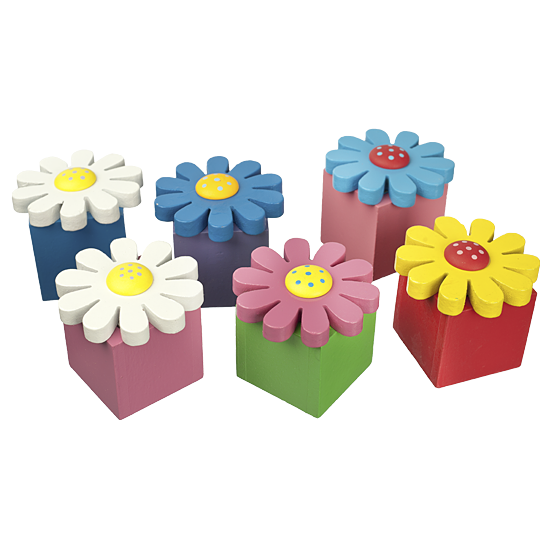 Set of 6 acrylic painted flower boxes. Flower tops are not hinged and are easily removed. Each box is a different color, tops can later be mix and matched according to taste.